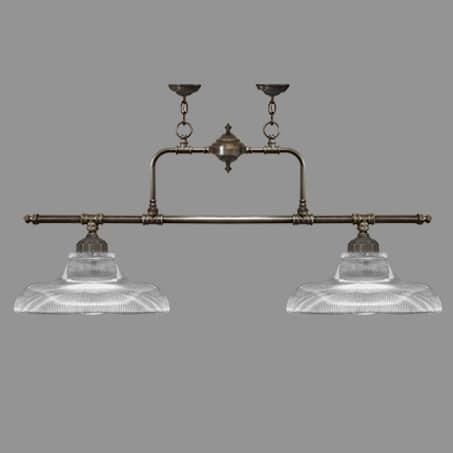 Lighting Pendant Double Bar Ribbed Glass Antique. Manufactured and Designed in our Manchester UK Design studio and Workshop. We manufacture a complete Range to complement this item. Please ask one of our sales team for Details.